Our story began with a strong, intelligent and brave young woman named Carly. At 19, she fell pregnant. Her mother had just passed away, she had only recently moved to Victoria and she was in a new relationship. Her life, as she describes it, was ‘going down a dark path.’ Little did she know she was about to become the inspiration behind Birth for Humankind. 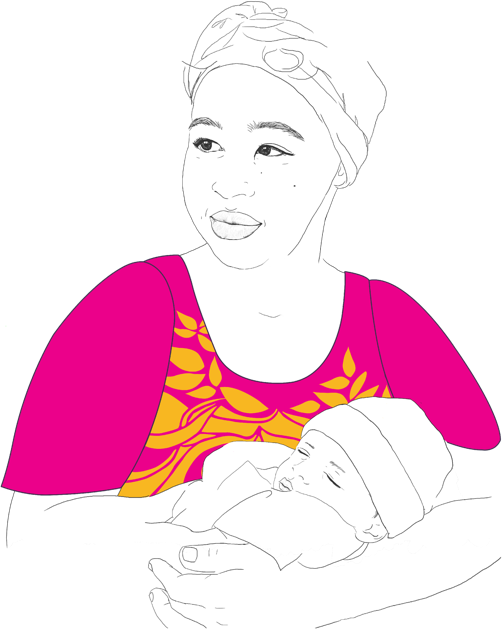 In late 2012, having completed her doula training, our Founder Mei Lai Swan had offered to volunteer at the Royal Women’s Hospital for any young woman who might be in need of the extra support a doula can provide. One of the hospital’s social workers connected Mei Lai and Carly and, a few months later, with Mei Lai by her side, Carly gave birth to a beautiful baby boy. It was such a mutually enriching experience that it seemed obvious to them that a service like this needed to be available on a broader scale. Birth for Humankind was founded in response to this, initially as a small team of four operating out of Mei Lai’s lounge room. In just a few years, we have become a fully-fledged charity with a dedicated team of staff members, more than 35 volunteer doulas, a committed and hands-on Board of Directors, as well as a growing community of donors and supporters. The story turned full circle when Carly herself served as a board director and co-facilitated our Mothering 101 program for young pregnant women. We know that Carly’s experience is not as unusual as you might expect in Australia. The reality here in Melbourne is that young pregnant women face complex barriers in seeking the support they need as they enter motherhood. But it is not only young women who fall through the cracks. Women from refugee and asylum seeker backgrounds, women experiencing homelessness, women with issues related to mental (ill) health, substance misuse and/or with a history of trauma and abuse also face significant disparities in maternal health outcomes compared to the rest of the Victorian population. Lower appointment attendance, less information accessibility, difficulty accessing interpreters, inability to enter programs that provide continuity of care and lower familial/emotional support are just some of the factors that can determine maternal health outcomes for women in the Australian maternal health system. As a provider of non-clinical support and education, we can address these issues where and when they happen in the birthing cycle. For all women, and especially for women experiencing socio-economic disadvantage, the face of maternity care has also been changing over the past few decades away from mother-centred and continuity of care models and towards an increasing medicalisation and intervention-based management of birth, which can lead to higher levels of confusion, fear, and trauma amongst birthing women. We think that, as a maternal health system and as a society, we can do better. Healthier mums = healthier families = thriving communities.